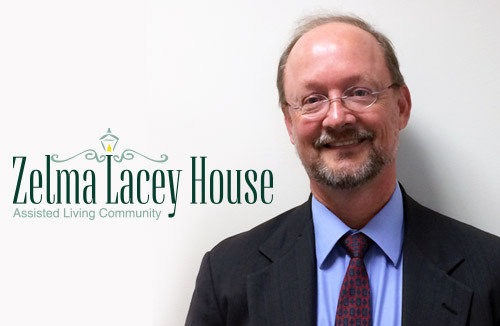 Braintree and Charlestown, MA (August 10, 2017) – Peabody Properties has named David M. Kingsley of Windham, Maine, as Executive Director of Zelma Lacey House, an assisted living community in Charlestown, Massachusetts. Kingsley joins Peabody Properties with 17 years of experience as a healthcare administrator; his background also includes the real estate and brokerage industries. Zelma Lacey House, an assisted living community of 66 studio and one-bedroom apartment homes, many with affordable programs, is situated in the heart of Boston’s historic Charlestown neighborhood – and within minutes of the area’s leading medical facilities. Prior to his selection as Executive Director at Zelma Lacey House, Kingsley held a similar post at Whitcomb House in Milford, Massachusetts, a property managed by Capital Senior Living Corp, and before that, served as owner and administrator of Maine Avenue Corporation/Maine Senior Care for 15 years. Previously, Kingsley, a graduate of Bowdoin College, was a commercial and investment real estate and business brokerage specialist. Kingsley and his wife Kathleen are the proud parents of two children. In his spare time, he enjoys water sports, gardening and activities with family.